Product #3220 | SKU PB70-S24 | 0.0 (no ratings yet) Thanks for your rating! The new PB70-S24 is a 70wh 14.8v lithium-ion battery pack provides power to Sony L-Series camcorders. The PB70-S24 mounts under the camera or may attach to a HDV support via its 1/4-20 release plate or V-mount. 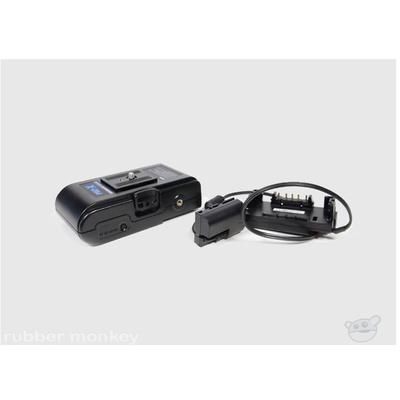 Wired as a 14.8v battery pack, it can provide extended power to up to two additional 12vdc devices, as well as other devices requiring lower voltage through an additional XP power regulation cable. The pack is also furnished with a 1/4-20 on either side to mount accessories.